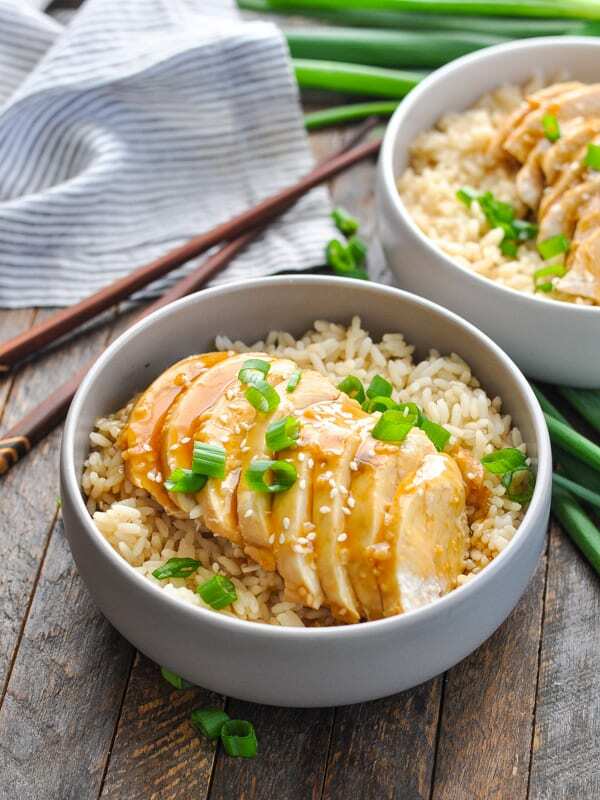 This tender, juicy and healthy Chicken Teriyaki recipe is an easy dinner for the Instant Pot or slow cooker! This tender, juicy and healthy Chicken Teriyaki recipe is an easy dinner for the Instant Pot or slow cooker! 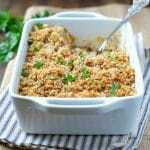 Serve the flavorful meat over rice, on cauliflower rice, atop a salad, or wrapped in tortillas for a wholesome, family-friendly meal any night of the week. 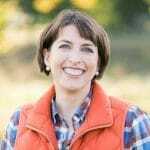 Since I have a busy schedule of working and caring for three young boys, I am always looking for ways to prepare healthy and fast meals that the whole family will enjoy. I need simple solutions for the weeknight rush, and they have to appeal to hungry appetites of all ages! 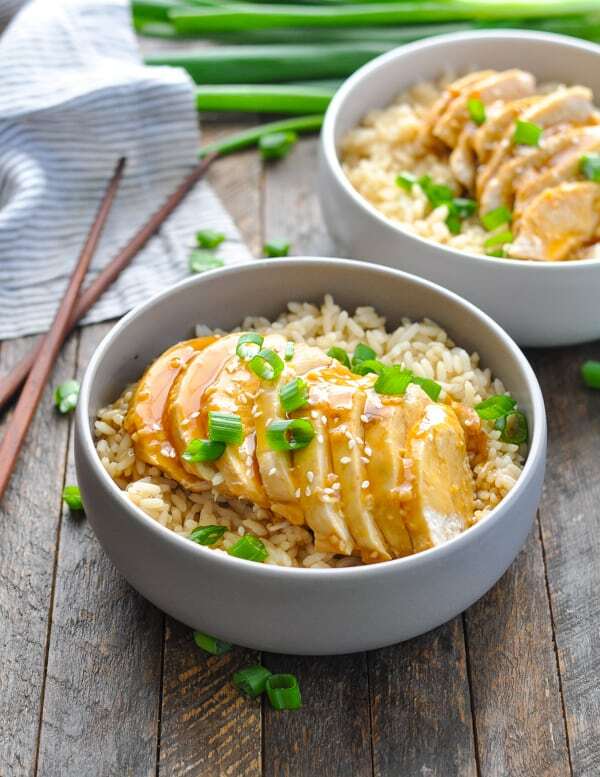 A Japanese chicken teriyaki recipe with rice (or cauliflower rice) is always a hit, thanks to that sweet-and-savory teriyaki chicken sauce! 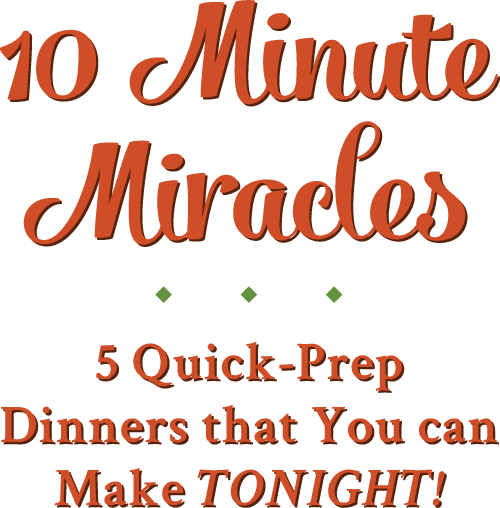 Best of all, you won’t believe how easily this meal comes together! 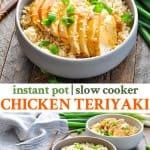 This is a Chicken Teriyaki Recipe for the slow cooker or for the Instant Pot! I’m showing you the pressure cooker method here, but the full slow cooker instructions are included in the recipe below as well. First, put your chicken in the bottom of the pot. So far, so good…right?! What ingredients are in Teriyaki Chicken? You don’t need to take the time to allow the meat to sit in a teriyaki chicken marinade because the chicken absorbs so much great flavor as it cooks in the sauce. 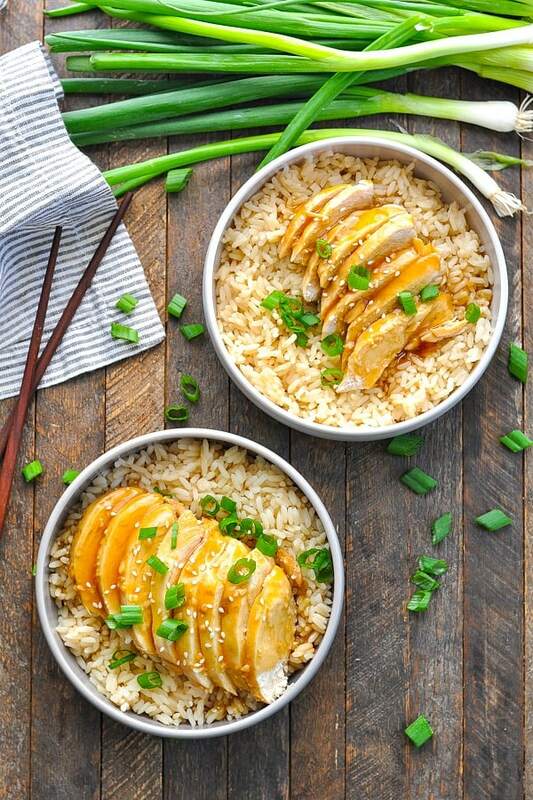 To create this sauce, you’ll need the following ingredients: maple syrup, orange juice, soy sauce, rice vinegar, ginger, sesame oil, and garlic. I highly recommend that you do not substitute for the rice vinegar and the sesame oil. I know that they’re more exotic ingredients than some of the other items here, but they give the dish that quintessential teriyaki flavor. The sesame oil adds a distinctive nutty aroma and taste that you can’t replicate with a different oil. Well worth the price of purchase! and pour it over the chicken! Seal the lid, set to “manual” high pressure, and cook for 10 minutes in the Instant Pot. 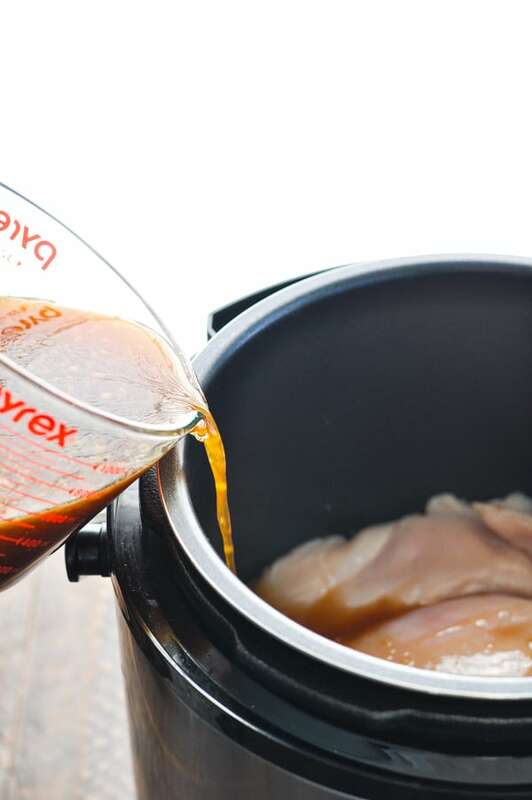 If using a slow cooker, you’ll cook the chicken on LOW for about 6 hours or on HIGH for 2-3 hours. When the chicken is done, remove it to a cutting board and cover loosely with foil. Allow the meat to rest while you thicken the sauce. 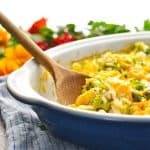 Combine cold water with cornstarch to make a slurry, add this mixture to the Instant Pot, and simmer for about 1-2 minutes (or until the sauce is nice and thick). Slice (or shred) the chicken, pour the sauce over top, and serve! Be careful not to overcook your chicken breasts. 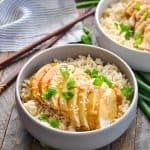 I find that the chicken breasts have the best texture when cooked in my slow cooker on HIGH for about 2 hours or in the Instant Pot for 10 minutes. That keeps them moist and juicy, and prevents them from drying out. If you would like a dish with a longer cooking time, try using 2.5 lbs. of boneless, skinless chicken thighs instead of the breasts. The thighs tend to stay juicy when left in a Crock Pot for extended periods. Garnish with sliced green onion and toasted sesame seeds! These add the perfect bright flavor, color and texture to the finished dish. Spray the inside of a slow cooker with cooking spray. Place chicken in slow cooker. 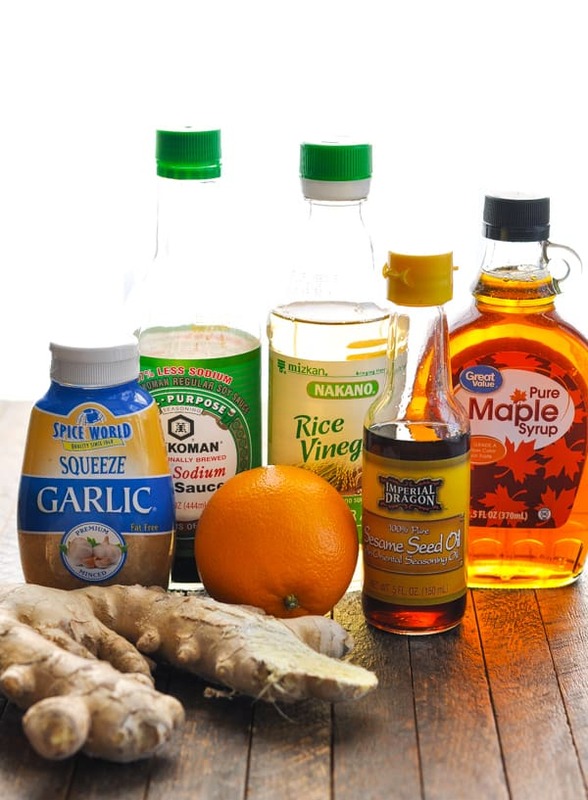 In a medium bowl, whisk together maple syrup, orange juice, soy sauce, rice vinegar, ginger, sesame oil, and garlic. Pour sauce over the chicken. Cover and cook on LOW setting for 4-6 hours or on HIGH for 2-3 hours. 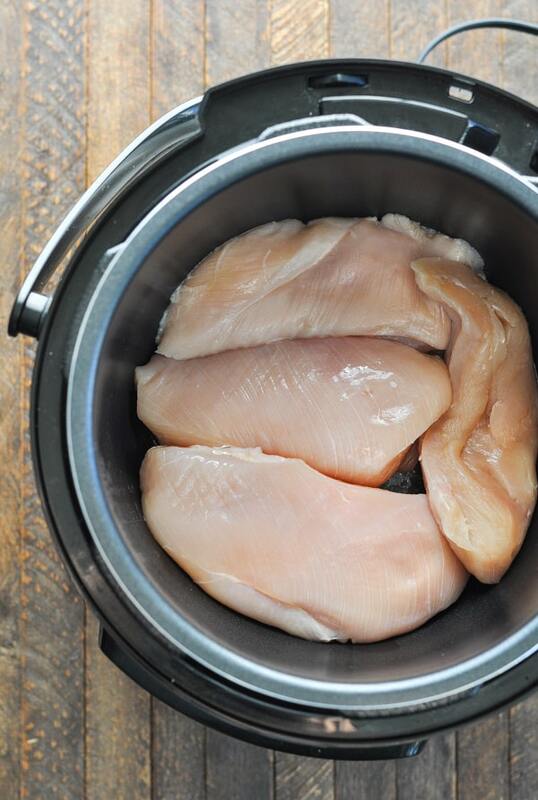 Remove chicken from slow cooker and place in a large bowl. Use two forks to shred the chicken or slice the meat. Cover loosely with foil to keep warm. 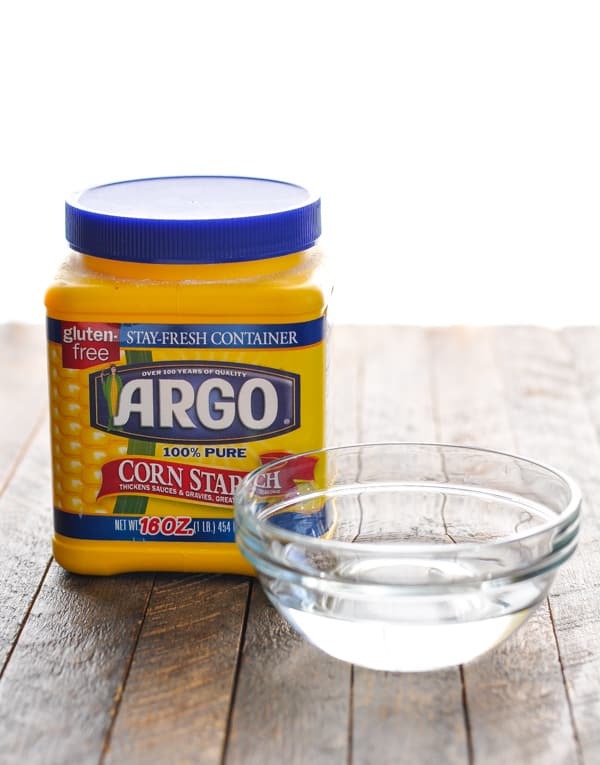 In a small bowl, whisk together 1/4 cup cold water and cornstarch. 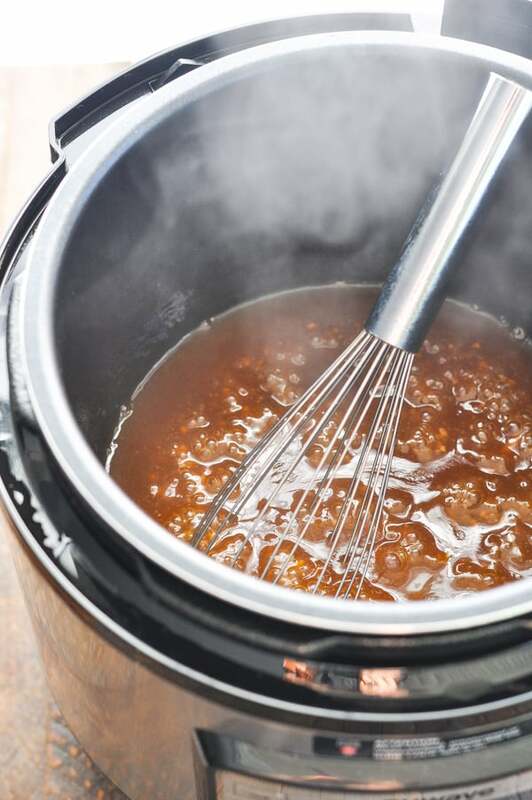 Pour sauce from the slow cooker through a strainer and into a saucepan. Add the cornstarch mixture. 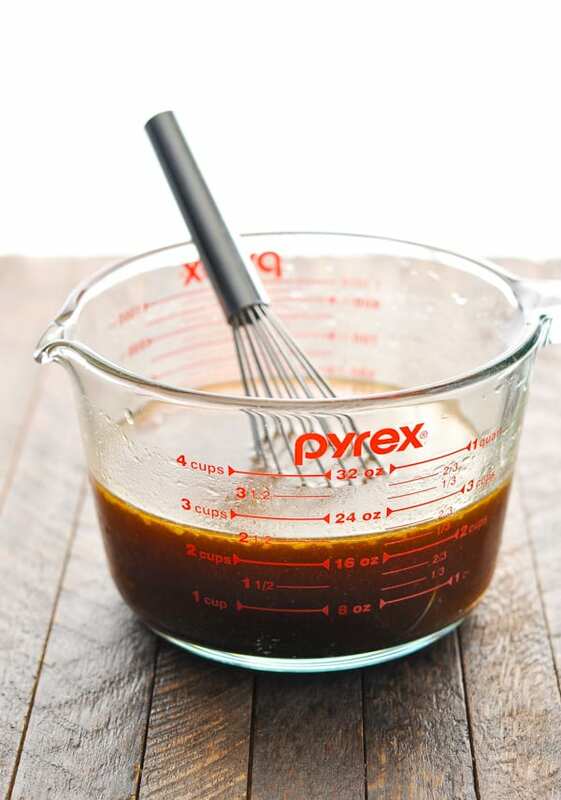 Bring sauce to a boil and cook for 1-2 minutes, or until sauce thickens. Pour sauce over the chicken, toss, and season with salt and pepper, to taste. Garnish with green onions and toasted sesame seeds. Spray the inside of the Instant Pot with cooking spray. Place chicken in the pot. In a medium bowl, whisk together 1 cup of water, maple syrup, orange juice, soy sauce, rice vinegar, ginger, sesame oil, and garlic. Pour sauce over the chicken. It will take about 10 minutes for the pot to heat up and build up pressure. Once the 10-minute timer is done, quick release the pressure from the pot, sliding the steam release handle to the “Venting” position, releasing all of the steam until the float valve drops down. Remove the chicken to a cutting board and cover loosely with foil to keep warm. 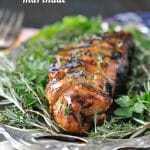 Allow the meat to rest for 5-10 minutes before slicing. While the chicken rests, whisk together cornstarch and ¼ cup cold water. Set the Instant Pot to “sauté.” When the sauce begins to simmer, add the cornstarch mixture and whisk to combine. Cook, whisking constantly, until the sauce thickens (about 2 minutes). Season with salt and pepper, to taste. Spoon sauce over sliced or shredded chicken. Garnish with sliced green onions and sesame seeds. This post was originally published in December, 2014. It was updated in January, 2019. 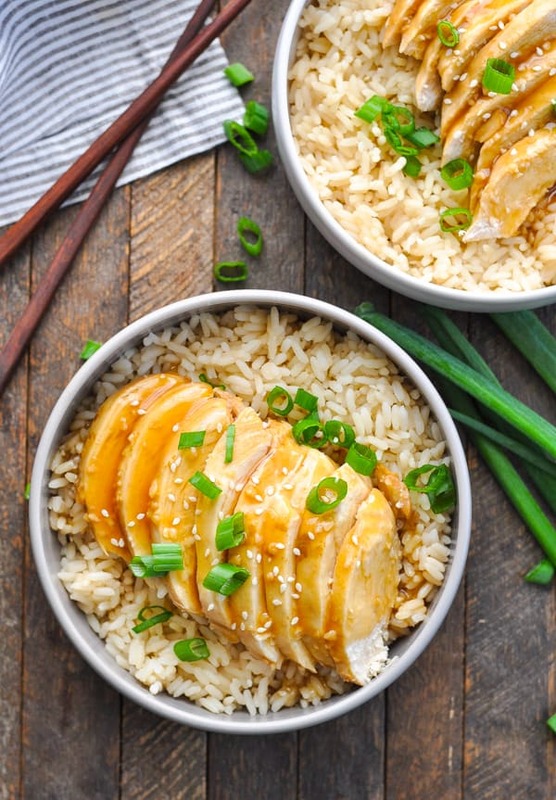 This teriyaki chicken looks delicious! I’ve been using my slow cooker so much lately, and I’ll have to try this recipe. I’m always looking for new easy meal ideas! I LOVE teriyaki chicken! This looks amazing! 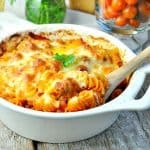 With the chocolate that I’ve had around the house lately, this would be SUCH a welcoming meal!! Absolutely love it 😀 Pinning this for sure!! What would happen if I left out the fresh peeled ginger and the rice wine vinegar? I ask because we generally don’t care for those, especially the ginger. The teriyaki chicken sounds really good, though. Thanks! Hey Roxanne! That would be fine! They just add extra flavor, so if you don’t care for them you can definitely leave them out. If you want a little bit of tang that the vinegar gives the sauce, you could sub in a different vinegar instead (like regular white vinegar, apple cider vinegar or balsamic). Enjoy! Excellent! I’m so glad that you enjoyed this one, Stine! That works perfectly, Elicia! I do it all of the time. Just keep it covered in your refrigerator overnight. Whisk it in the morning right before you put it in the slow cooker. It should be great!